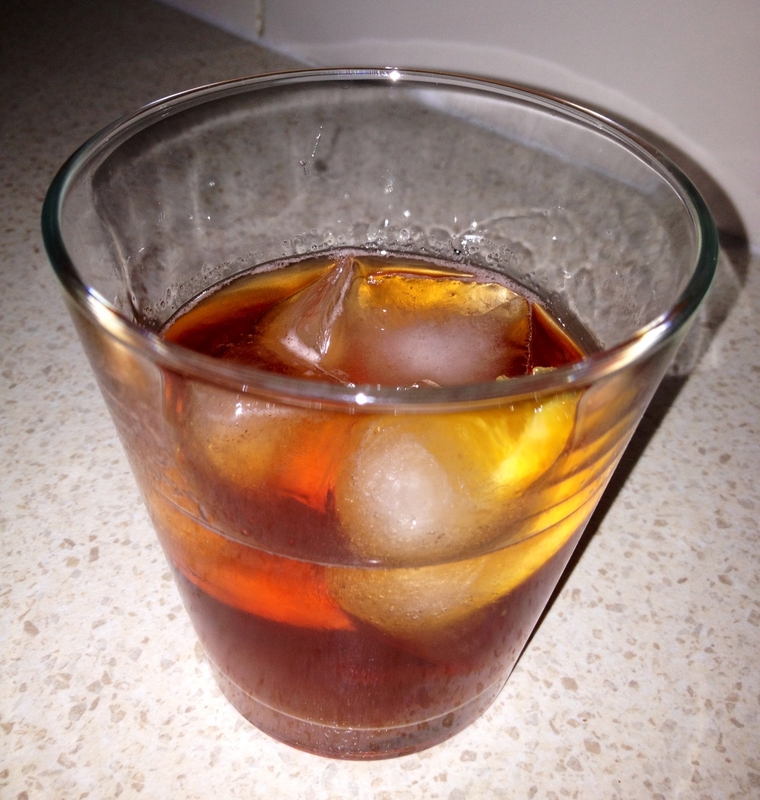 Another evening, another delicious bourbon inspired cocktail. This time a favourite of Don Draper, the main character of cool TV series Mad Men. This one was super simple to make up, looks effective with a few slices of orange and some cherries and goes down a treat. Place the sugar cube (or 1/2 teaspoon loose sugar) in an Old-Fashioned glass. Wet it down with 2 or 3 dashes of Angostura bitters and a short splash of water or club soda. Crush the sugar with a wooden muddler, chopstick, strong spoon, lipstick, cartridge case, whatever. Rotate the glass so that the sugar grains and bitters give it a lining. Add a large ice cube. Pour in the rye (or bourbon). Serve with a stirring rod. 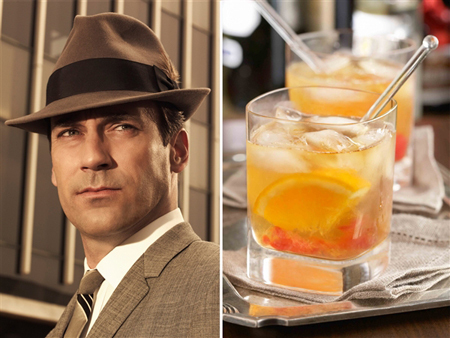 Now you can drink like Don Draper too!